Thinking of setting up your own e-commerce store? Probably a smart business move. In 2016 alone, customers spent an estimated $131 billion on online purchases.1 So if your small business isn’t selling online, you’re probably missing out on a huge piece of the pie. Of course, setting up an online store can be intimidating. But never fear: we’re here to help. We’ve outlined a few key steps you’ll need to follow to create a website with an online store. These steps will help you cover the basics to set up your e-commerce site and start reaching your customers. So let’s dive into the details. As a new e-commerce business owner, your first step is to decide which products you’re offering. This may seem like a pretty simple endeavor, but the products you offer can influence how you go about building your store. Certain online marketplaces are better for some products than they are for others. If you’re thinking about selling homemade decor items or custom knit baby hats, you might just want to set up an Etsy shop. But if you’re producing higher quantities of items, have a large product catalogue, or want a full-fledged site devoted entirely to your business, a traditional e-commerce website is probably more your speed. Before you can create your own online store, you’ll need to pick a name for your business and buy a domain name. We recommend doing this at the same time because you’ll want a domain that customers will associate with your business name. 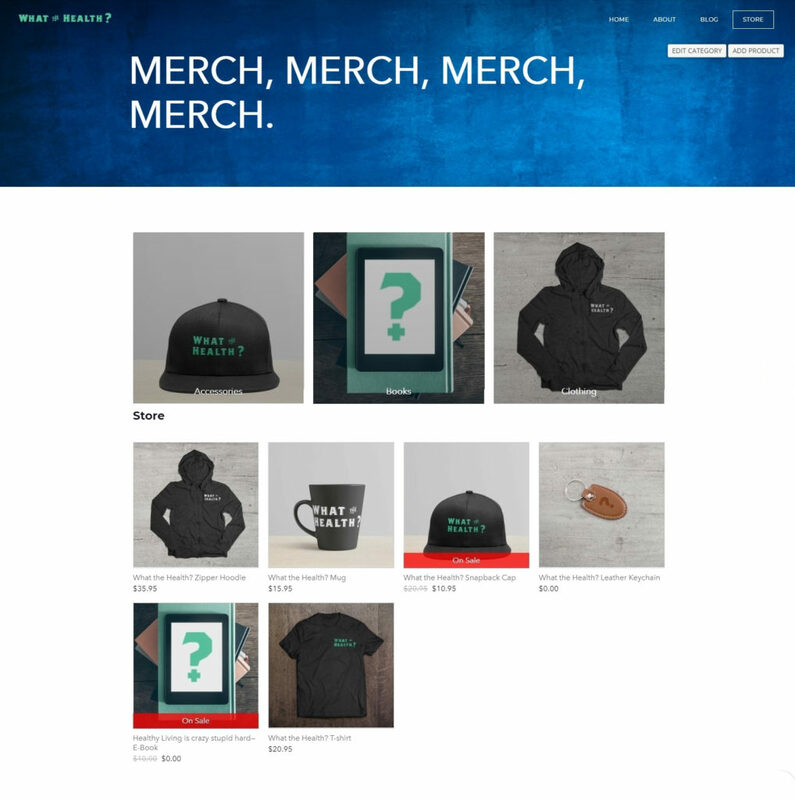 Basically, you don’t want to create an online shop called “Vintage Wear” (complete with logos and branding) and then realize that the only available domain that’s even remotely associated with your business name is something like “vntgwr.com.” How would your customers remember where to find you? Another thing to consider is who to buy your domain from. Part of running a profitable online shop is eliminating extra costs wherever you can. That said, you still want to make sure you’re protecting your information. So don’t register your domain through a shady site, even if it’s offering the lowest price for the name you want. We highly recommend signing up for your domain through your web hosting service. Web hosting services often include SSL encryption to protect your data (and your users’ data)—we’ll talk more about this later. Plus, buying through a web hosting service is usually cheaper than signing up through a website builder, and they often throw in deals like free domain registration for the first year of service. Cha-ching! Bluehost offers privacy protection so randos on the internet can’t see the name, private phone number, and address of the individual buying your domain (a.k.a you). And with domains available for as little as $8.99 per year, it’s one of the least expensive ways to buy the domain you want. All websites have data, which needs to be stored somewhere. So every online business, from online clothing stores to spare parts stores, needs a web hosting service. “Uptime” basically refers to the amount of time that customers can actually access your store. So if a web hosting service has a 98% uptime, it means that customers are able to access your store 98% of the time. This is an important thing to consider when evaluating your web hosting options. You definitely don’t want to lose potential customers to an error message when they try to visit your site. Online customers have a notoriously short attention span. Nobody wants to wait all day for your page to load—this isn’t 1999. Choosing a web hosting provider with fast load times helps ensure your customers won’t get impatient with your site and give up before making a purchase. SSL certificates are extremely important for any website these days. An SSL certificate basically shows search engines that your site has the encryption necessary to protect users’ data when they’re in your store. SSL certificates are typically offered by either your web hosting provider or your website builder, so you don’t necessarily need a hosting service that provides an SSL certificate. But it’s still probably a good idea, as it gives you more freedom: you can choose a website builder that doesn’t offer SSL encryption, or you can sign up for a cheaper plan without SSL encryption because it’s already covered by your web host. Starting an online business is already a huge financial investment. The last thing you want is to bury yourself in extra costs. It’s okay to scope out web hosting services to find the best deal for your needs. Just make sure you also factor in how much each hosting service charges for domains (if you opt to purchase your domain through your web host, that is). You should also keep in mind that many website builders offer free hosting as part of your plan. But in general, we advise against hosting your site with your website builder. Website builders tend to focus more on offering a quality builder than on delivering the best uptime rates and page load speeds, so your customers will likely have a better experience if you pay for your web hosting and website builder separately. Bluehost is a web hosting service that features fast load speeds, a free SSL certificate, and near-perfect uptime rates—all for less than $5 per month. Worth a closer look? We think so. Now for the fun part: creating your products! You may be wondering why actually making your products would be step number four instead of step number one. The biggest reason is you may decide to narrow the scope of what you offer after deciding on your domain and business name. Quick example: You start out wanting to sell pop culture–themed jewelry. But while shopping for domain names, you realize that generic pop culture jewelry domains are a bit picked over. So you decide to focus on selling Labyrinth-themed jewelry exclusively and choose a domain and store name to match your new product offerings. The last thing you would want in that situation would be to make tons of pop culture–themed jewelry up front and then realize that less than half of your already-made products actually fit the theme of your e-commerce store. Sidenote: Does anyone know where we can find Labyrinth-themed jewelry? Just asking for a friend. Now that you’ve bought a domain, chosen your business name, selected a web hosting service, and actually produced the items for your store, you’re ready to create a website to sell your products. For that, you’ll need a website builder. There are lots of different options, but the best e-commerce providers deliver professional-looking themes, easy-to-use interfaces, and all the back-end features you need to run your business smoothly. You may also want to consider the transaction fees charged by each builder. We really like the powerful e-commerce tools available on BigCommerce; the low-cost, integrated features offered on Squarespace; and the user-friendly dashboard you get with Wix. But for new business owners, our top choice is Shopify. In our experience, the Shopify dashboard could be a little better, and the free themes are nothing to write home about. But the premium themes (which cost $140–$180) are gorgeous, and everything is optimized for e-commerce stores. Shopify sites include SSL certificates (just in case you chose a web host that doesn’t offer SSL encryption). And depending on your plan, you can get awesome e-commerce tools like inventory tracking and shopping cart autorecovery (for customers who abandon their carts and then come back to purchase). Most importantly for entrepreneurs, Shopify offers tons of resources to help you get your new business off the ground. In the Shopify dashboard, you can access free logo makers, tutorials on how to market your brand, checklists for setting up your online store, and tools to make your store management easy. So if you’re feeling like you’re in over your head with starting your store, Shopify will probably be the best choice for you. You may have noticed that we have a separate step for signing up for your website builder later on. Most web builders have a free trial period so you can get your hands dirty and figure out if the platform’s right for you. Don’t make the mistake of signing up first and realizing that the platform you’ve chosen doesn’t work for your needs! For some of these assets, you may want to hire a professional to help. A home page written by a trained copywriter, for instance, will resonate more with your potential customers and optimize your site so it’s more likely to be found by search engines (like Google). You can hire professional designers, marketers, developers, and writers through Shopify, or you can scope out freelancers and agencies that offer e-commerce help online. We love the pros at 99designs. You can hire an expert to design a logo, a social media cover, and even an entire website. That way, you’re free to focus on what you care about most: your customers. Once you have all the assets you need, you can start building your home page, about page, contact page, and any other pages you deem necessary. And for that, you’ll need a theme. The Shopify theme store has a select number of free themes, but we’d recommend paying for a premium theme. Free Shopify themes often don’t include pre-designed pages apart from your home page, so you’re stuck building your about page and contact page from scratch. Sure, you can supplement with e-commerce plugins from the Shopify app store, but it’s a time-consuming, often frustrating process. Trust us—we built a whole website on Shopify just to find the bugs for you. With a premium theme, however, you’re more likely to get a professionally designed about page or contact page. Even your home page and store page will look better, which helps build your credibility with potential customers. And you don’t have to waste your valuable time trying to force the platform to give you what you want. Not using Shopify? A lot of our advice holds true for other e-commerce software. We also noticed that premium themes on BigCommerce and Weebly tend to look better and be easier to use, so we’d recommend shelling out a bit extra for a high-end template on either of those builders as well. Fortunately, Squarespace and Wix offer all their templates for no extra charge. Even then, though, there are third-party themes for Wix and Squarespace that will often cost you extra but may be better for your needs. You’ll also want to figure out ahead of time how much inventory you have for each item. And if you’re going to use custom stock keeping units (SKUs) to track different color or size variations for each product, you’ll probably want to have all that worked out ahead of time too. From there, most e-commerce platforms are pretty straightforward. You just go to your store editor, click “Add product” (or “New Product” or something similar depending on your builder), copy and paste in your product description and name, upload your image(s), and enter in the SKU and other details. Most website builders auto-generate your store once you’ve added your products. However, the Shopify app store (and the app marketplaces for other e-commerce platforms) offers lots of e-commerce plugins for businesses looking to customize the look and functionality of their storefronts, product pages, and checkout pages. Or if you have the time and coding chops, you can choose Weebly and completely build your shop from the ground up. Make sure you’re as accurate as possible when entering the weight and size for each of your products. Weight and dimensions directly affect your shipping rates, and you don’t want to pay extra (or make your customers pay extra) just because you guesstimated on how much your product weighs or used a box that was bigger than you really needed. If you go through the trouble to create a website for your online store, you probably want to actually get paid for the work you do and the products you produce. For that, you’ll need to decide on your payment gateway. What is a payment gateway, you ask? Basically, it’s the service that transmits payment data between your bank and your customers’ banks. It’s what allows online marketplaces to receive payments even though their customers aren’t there to physically swipe their credit card. In order to receive payments on your e-commerce site, you’ll need to sign up with a payment gateway and fill in your site’s settings with your payment gateway account information. That way, when a customer purchases something from your store, your site builder can automatically connect with your payment gateway, charge your customer’s credit card, and deposit the payment in your account. The right payment gateway will depend a lot on the website builder you choose and the plan you sign up for. Most builders are compatible with big-name gateways, like Stripe or Square, or they offer apps and plugins so you can accept payments via your gateway of choice. But fees for using each payment gateway may vary. 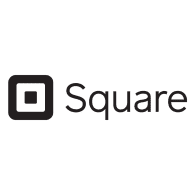 We think you might like Square Square doesn’t just do credit card processing for in-person payments. It also offers an online payment gateway just for e-commerce businesses. Best of all, Square is integrated with Weebly for easy site building and support. One thing you’ll want to look out for, though, are transaction fees. Every payment gateway charges a transaction fee (usually around 2.9% + 30￠), which is charged to your website builder. The website builder then passes on these fees to you in one way or another. So you’ll have to do a bit of research to figure out how your website builder handles transaction fees and what the most cost-efficient solution is for you. 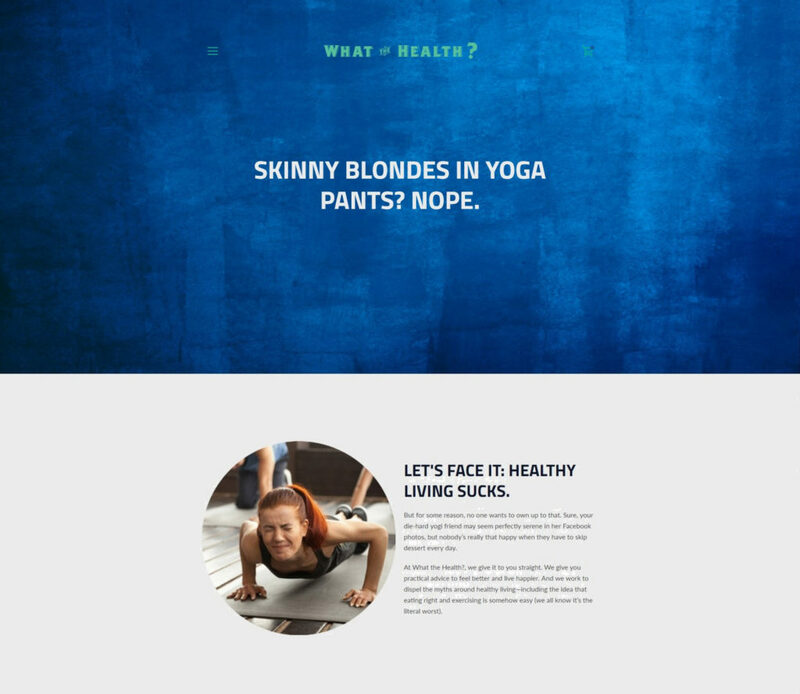 Let’s look at Squarespace as an example. The cheapest e-commerce plan on Squarespace is the Business plan. Business plan users are charged a 3% transaction fee, which basically covers the fees that Squarespace pays your payment gateway for that transaction. But if you sign up for a higher-tier Squarespace plan, Squarespace actually waives your transaction fees in exchange for your plan’s higher monthly rate. For businesses that sell only a few hundred dollars’ worth of merchandise every month, Squarespace’s Business plan is probably going to be cheaper than signing up for a higher-tier plan. But if you regularly process thousands of transactions every month, moving to a higher-tier plan is actually a real money-saver. The last thing you want is to fall short of being a profitable online store because of transaction fees, so make sure you do your due diligence and scope out each gateway and each plan offered by your builder to make sure you’re minimizing costs. Shopify is a little different from other site builders because it offers its own payment gateway: Shopify Payments. By charging an extra transaction fee for using a third-party payment gateway, the platform incentivizes store owners to use Shopify Payments. So if you’re a Shopify customer, we recommend cutting out the middleman and using Shopify Payments. Will you offer free shipping or flat-rate shipping? If you also own a brick-and-mortar business, will you allow in-store pickup? How do you want to package your products for delivery? Will you ship to all areas domestically? Do you need a shipping calculator as part of your shopping cart? How will you handle labeling? Are you using a fulfillment warehouse? Which courier(s) are you using? Shipping is a major element of your business, so these are all questions you need to answer before you can officially create your online shop. And of course, the right choice for you may vary depending on your store and your website builder. For instance, an online clothing store might opt for flat-rate shipping because most products in the store catalogue weigh the same (or close to the same) and are a similar size. And unless that clothing shop had a brick-and-mortar location as well, in-store pickup might not be an option. Certain website builders also offer enhanced compatibility with certain couriers. If you have a Shopify store, for example, you may find it easiest and cheapest to use Shopify’s own shipping service (Shopify Shipping). But if you use Wix, you may find it easiest to use FedEx’s plugin to automatically generate your shipping labels. You’ll want to make sure that whatever choices you make, your e-commerce software (and the plan you select with that website builder) can support your needs. If you want to offer free shipping or a shipping calculator, for instance, you might need to upgrade your plan to get those features. At this point, you’ve seen everything that your website builder has to offer, and you’ve had time to gauge whether there are any significant e-commerce features that your platform is missing. If everything is going smoothly and you’re happy with your site, go ahead and sign up for a plan. The right plan will depend a lot on your business. If you plan to sell your exclusive line of hair care products in your Shopify store, then you might decide you need a plan that offers advanced shipping options. But if you’re a graphic designer and sell digital artwork, you may not need that (but you would want to make sure that your plan supports the selling of digital goods). Now, you may be wondering if there’s any way you can create an online store for free. The answer is . . . yes and no. While most e-commerce platforms allow you to create an online store for free, you will have to pay for a plan before you’re allowed to start selling your products. Even Weebly, which offers a free plan, doesn’t support any e-commerce functionality unless you sign up for an upper-tier plan. The moral of the story? Make sure you budget at least $15 a month or so for your website builder. You’re almost there! But before you can launch your e-commerce website and start selling your products, you’ll need to dial in some details. For starters, you’ll want to make sure that your contact details are up to date on the back end of your site (that’s the behind-the-scenes area of your website where you make all your changes). Your address will influence the cost of shipping, so updating your contact details ensure that your shipping estimates are accurate. You’ll also want to determine your tax settings—like whether you’ll use automatic US state sales tax calculation or whether any special sales tax exemptions are applicable. Most e-commerce solutions provide tools and user-friendly interfaces to walk you through that process. Some (like Squarespace) even provide integrated accounting at no extra cost. Finally, online businesses should definitely take a look at their search engine optimization (SEO) settings. A few minor tweaks to your meta page titles and meta descriptions, for instance, could make a huge difference in whether your site gets lost in the shuffle or gets found by Google. Before publishing your site, make sure to secure your business license and employer identification number (EIN). Even online businesses need to be appropriately licensed, so get your business license sorted out before you launch! After all that work, you may be chomping at the bit to get your site published. But even business owners with meticulous attention to detail can make mistakes. Before you publish, be sure to preview your site. Most e-commerce solutions offer a mobile preview feature, so make sure you use it to double-check that all your visual elements look right. You’ve put a lot of energy into this site. The last thing you want to do is alienate potential customers because they can’t read your product descriptions when shopping on their phones. Congrats! You have officially created your own online store! So go ahead and hit that big old publish button and release your shop into the wild. Promote it on your social media pages, and pop the bubbly because you’ve earned it. Want more info about website builders and e-commerce? We’ve got a guide for that. Check out our rankings for the best e-commerce website builders to see which providers top the charts.